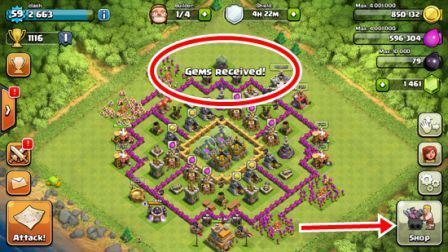 AndroidBaru.info – How to get free gems Clash of Clans is diverse. Some time ago, I was giving a tutorial about 4 tips to obtain gems on the game COC in Indonesian. This time I will try to give you a tutorial how could gems COC in English, although it uses the facilities of Google Translate. This tutorial is devoted to Android users. As we all know, Android has a lot of applications. One of the lesser-known Android application is an application provider dollar financial rewards for free. Now, by utilizing applications that we could get a return for gems Clash of Clans without the hack and cheat. Tutorial how to get free gems Clash of Clans in Android will I proceed with drawing instructions. But sorry, the picture in Indonesian. But you can easily understand the instructions contained in the picture. 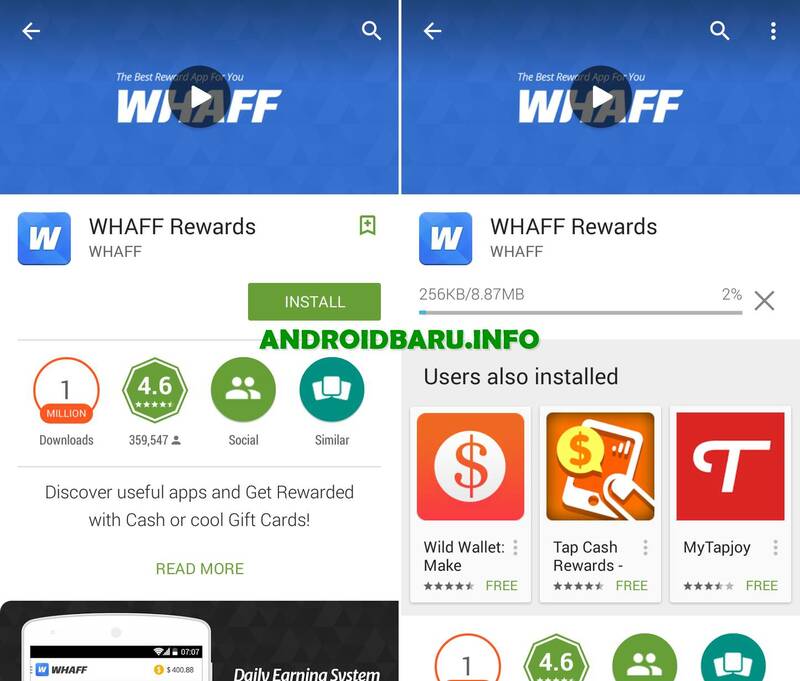 First please download an application called Whaff Rewards from Play Store. Or download apk whaff if in PlayvStore not available. During the download and installation process, do not close this page, because you have to follow step by stages to obtain gems. Now run whaff installed. Sign in or login with Facebookk account you have. 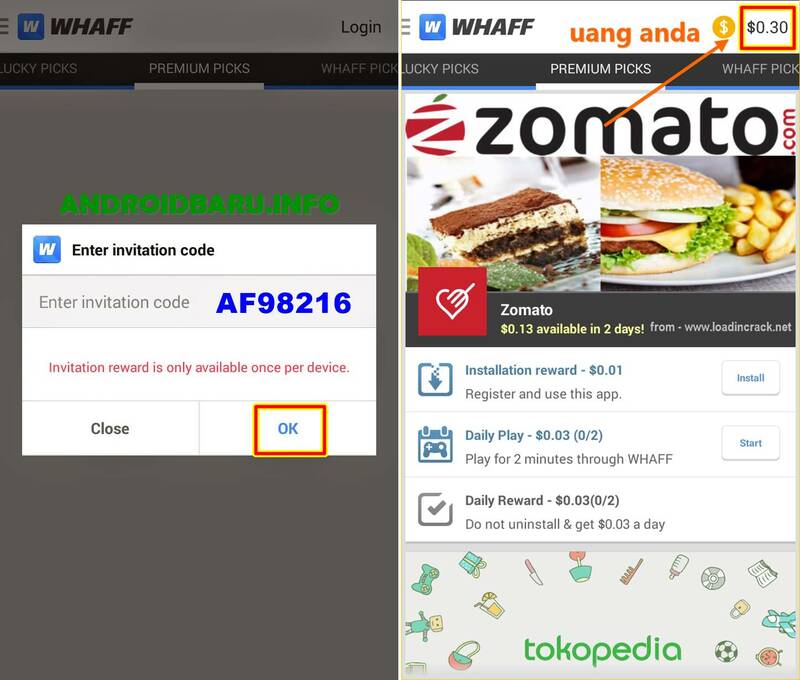 By using the above code, you officially also become an official member whaff and immediately got a balance of $0.30 dollars free for you. Look in the upper-right corner, the balance of 0.30 dollars go straight. To add to dollar balances in whaff quickly, open PREMIUM – WHAFF picks and OTHER picks every day and download all the applications and games available. Then, run all the applications and games that have been downloaded. That way you’ll earn up to tens of dollars quickly. Trick quickly got another whiff of dollars is simply always open whaff every day, and then press the button ATTENDANCE . You will get a free dollar as well. 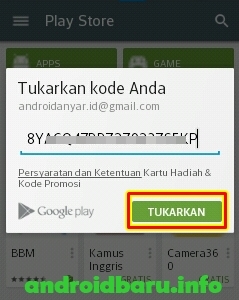 From whaff, select the option ‘Payment‘> ‘Google Play Gift Cards‘> $12 and tap the button ‘Request‘. You may take 2-24 hours to get the gift code Play Store for 10 dollars. 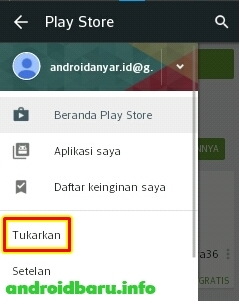 Open Play Store app on your Android Phone. Wipe the screen from left to right to open the menu. Select Redeem. Enter (usually 20 digits) into the coupon code field provided. Then tap the button REDEEM. 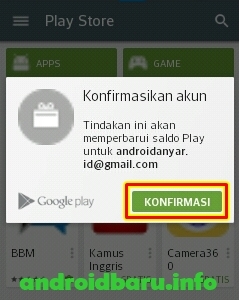 Before pressing CONFIRM please check the email address listed. Success! 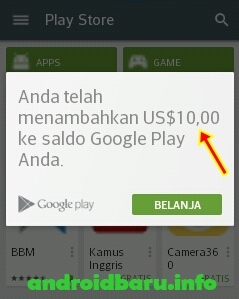 Congratulations now you’ve got a balance Play Store for US $ 10 US dollars. Please open your Clash of Clans game, open the menu SHOP. Search and select a Bag of Gems that maximum price $10. You will be taken to the Play Store to make purchases CoC gems using gift card balances that already exist in your Play Store account. Remember, when selecting a payment method, please select to Use Google Play balance. Apabila Anda memiliki pertanyaan atau komentar untuk Free Gems Clash of Clans Android silakan tulis melalui Formulir Kontak. Harap diperhatikan bahwa pesan Anda akan direspon secepat-cepatnya dalam 24-48 jam.